When I turned 40, some friends had taken me to an Afghani restaurant for my birthday dinner. I had been to the Afghani restaurant — Kabul House — for the very first blog post to Chicago Alphabet Soup and I was a few notches past anxious for returning. The food was something delicious and with it having been the first time ever indulging any Afghani cuisine, it was tastefully exotic. Having the dinner celebration at the restaurant and loving the dining experience as much as I did the first visit, I had made plans to return for a few future excursions. Much to my disappointment, the restaurant had closed its doors. While Chicago and the neighbouring suburbs may have Afghani communities, there were no other dining establishments to showcase their food talents. Recently I discovered that the restaurant had a new location in the small downtown section of Skokie, Illinois. 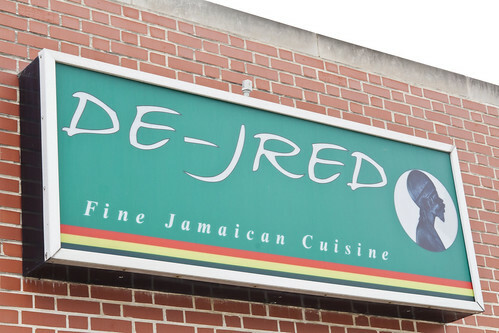 And just a block away was another gem that I never would have thought would dot the landscape of Skokie — De-Jred Fine Jamaican Cuisine at 4901 Oakton Street. Skokie is not known for having a Caribbean community, so I was fascinated to find something reflective of my culture. The inside of De-Jred is spacious, with plenty of tables and booths. Upon entering, find a seat and prepare yourself for some authentic food from the island of Jamaica. I arrived just as the doors had opened, so I had my pick of seats. Knowing that I was going to capture impressions of what I was going to eat, I sat near the window for natural light to my photographs. The server approached with menu, a hearty welcome, and I had a few minutes to see what was on the bill of fare. It took very little time, as I saw something I was accustomed to eating as a kid. After placing my order and briefly talking with the owner/manager/cook about Jamaica, Toronto, and where there is a concentration of other Jamaicans in Chicago and surrounding suburbs, it was time to feed the monster. One should never go to a Jamaican restaurant and leave without ordering a beef pattie. Actually, it is mandatory that you order a beef pattie unless you are a vegetarian. Talk about true Jamaican representation. 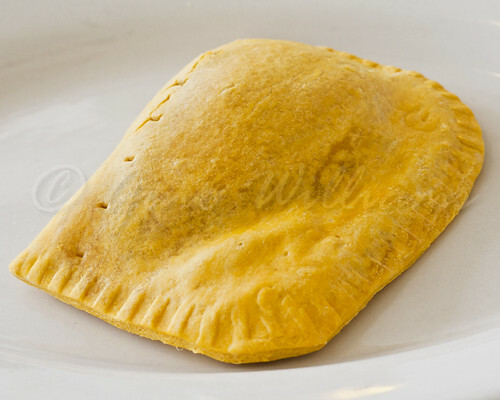 I have had Jamaican beef patties at countless Jamaican restaurants and walk-up counters, most of which had a hint of beef filling and a lot of air between the crusts. At De-Jred Fine Jamaican Cuisine, the patties are stuffed with beef filling and spicy the way I like them. They were so much like what I remember from Jamaica proper and the cast of Jamaican restaurants in Toronto to the point that I ordered some for take-away. Being that I was in the mood for something reminiscent of my younger days, I had saltfish and ackee. Although you can eat it at any time of the day, it was a breakfast staple that made pancakes, waffles, scrambled eggs, and that other Stepford fare distasteful. There were even a few bones in the saltfish. With the saltfish and ackee, there were plantains and some steamed cabbage with carrots. I was a rather happy man after the first scoop of everything. 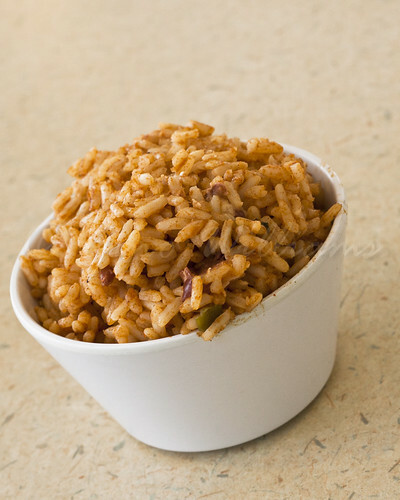 And when I got a scoop of the rice and peas, I had mentally gone to Sheffield, Jamaica, and was sitting at my grandmother’s kitchen table handling business and washing it all down with some june plum juice. Well, I didn’t have any june plum juice. 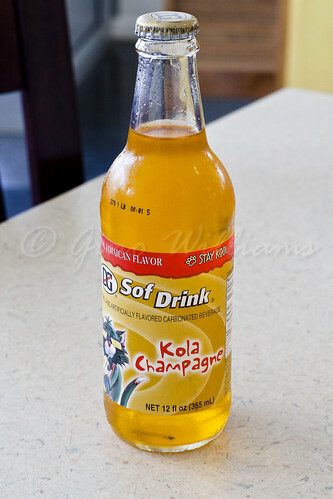 I had Kola Champagne instead, and that still was a big hit. 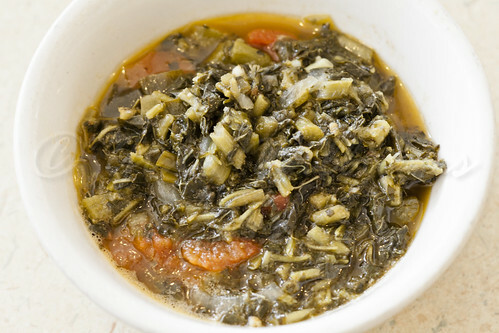 Also, with the saltfish and ackee dish I had callaloo. In American-speak, think greens. Accented with stewed tomatoes and seasoned just right, I made them vanish, the food magician that I am. What would have really shot me to the moon would have been if I had some fried bammy with the meal. I would have stepped outside, counted from ten to one, and skyrocketed straight out into space. Had I not been in a reflective mood about my fortieth birthday, I never would have searched to see if Kabul House had a resurgence. It was fortunate that I was thinking of the Afghani restaurant because having discovered its new location, I also found out that there was a Jamaican restaurant within walking distance of it. 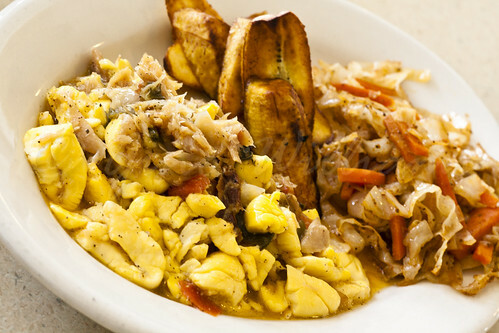 De-Jred Fine Jamaican Cuisine may be one of those spots that you pass without noticing it. 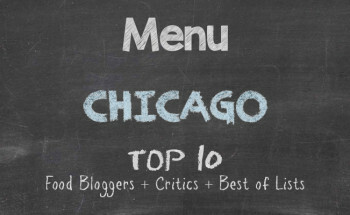 But if you are in the area and your nose detects the smell of something from that beautiful island in the Atlantic Ocean, open the doors to some of the best Jamaican food in the Chicago area. Be prepared for a dish or two of all the good things.